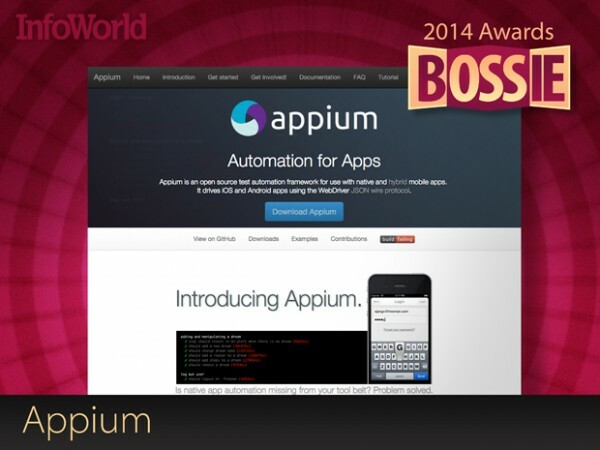 Thanks to InfoWorld for naming Appium as the mobile testing framework of choice in the category of the Best Open Source Application Development Tools in this year's Bossie Awards! Sauce Labs is proud to sponsor the development and maintenance of this world class open source project. Cheers to our Ecosystems team and to the external committers who have helped drive its success. For more about Appium, read below. The Bossy Awards showcase InfoWorld's picks of the year among languages, frameworks, libraries, and all the other tools that programmers use. To learn who else won, click here.